Lachha Paratha 3 Ways Recipe | How to Make Multi-Layered Paratha | Punjabi Laccha Paratha | Lachhe Wala Paratha | Whole Wheat Laccha Paratha | Parat Wala Paratha | लच्छा पराठा. 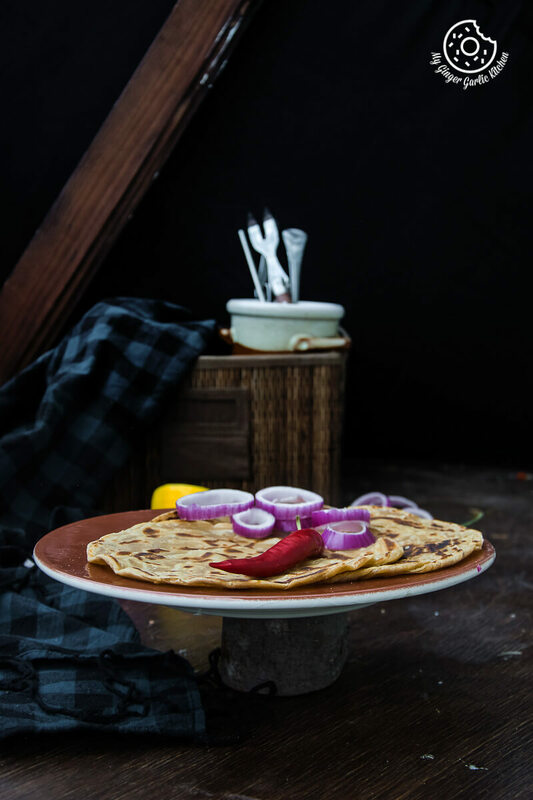 Lachha paratha is a popular North Indian flat-bread. In North India, Lachha paratha is also famously known as Punjabi bread. The word ‘Laccha’ literally means layers in Hindi. Thus, the name laccha paratha is the exact translation of the phrase ‘layered flat-bread’. If you belong to Northern India, then you know that mornings and parathas have a great bonding. Be it breakfast, lunch-box, lunch, dinner, get-togethers, weddings, or parties; parathas are always there to be ticked in the menu list. All my North Indian friends can relate to me here. The basic plain-paratha range covers plain circle parathas, plain triangle parathas, and lachha paratha. 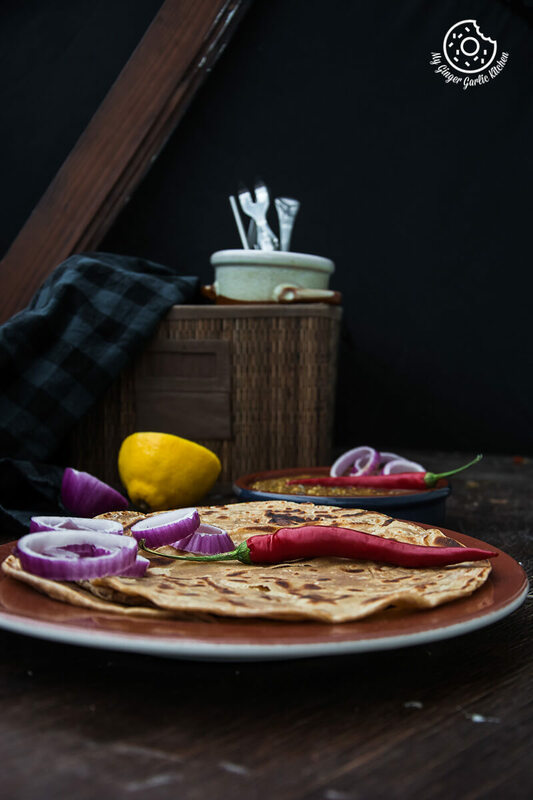 Lachha paratha is a popular North Indian flat-bread. 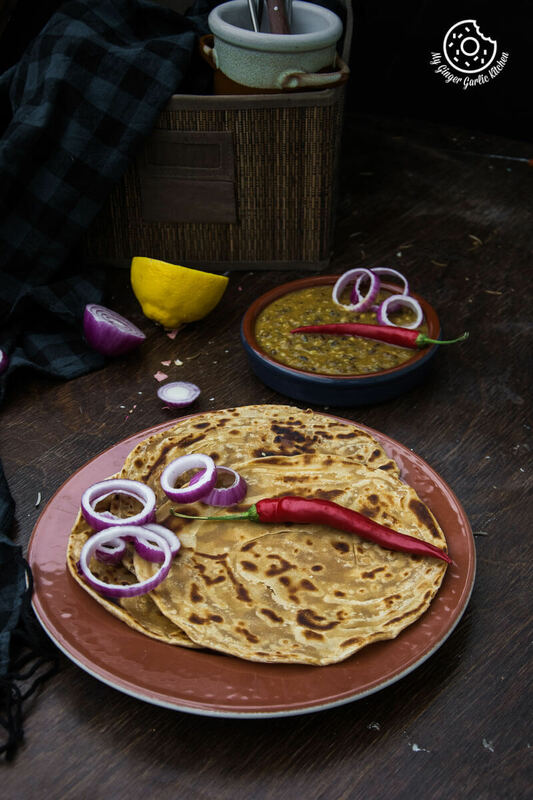 In North India, Lachha paratha is also famously known as Punjabi bread. 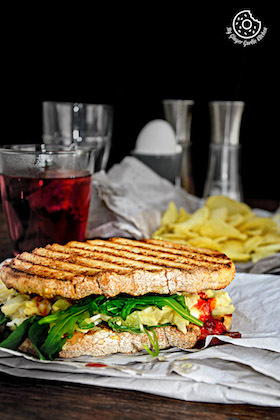 The word ‘Laccha’ literally means layers in Hindi. Thus, the name laccha paratha is the exact translation of the phrase ‘layered flat-bread’. This paratha is also known as parat-wala paratha — multi-layered flat-bread, which is roasted with ghee or sometimes shallow fried. The parathas shallow-fried with ghee are richer than the roasted ones. You can roast or shallow fry these parathas depending upon how rich you want them. I always prefer the ghee roasted version. 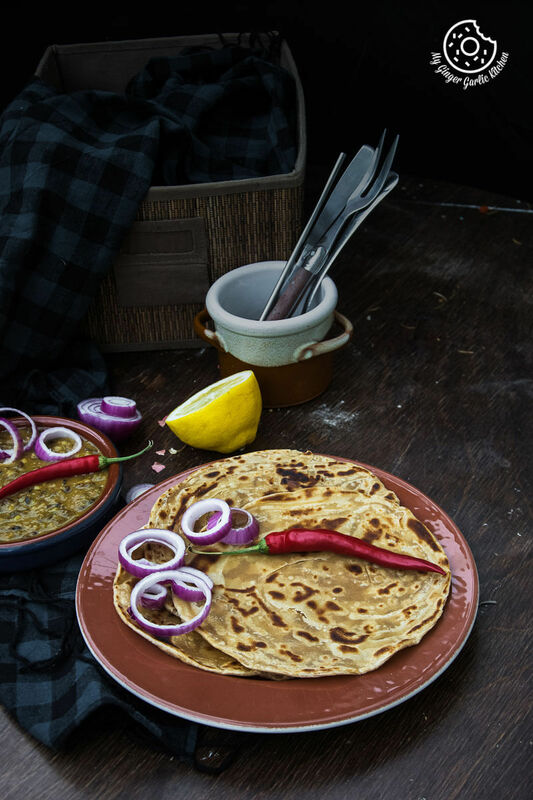 Making this laccha paratha is like an artwork you craft with a dough ball. You can be as creative as you want in creating the layers. This paratha is made by rolling first, then, pleating/slicing/crimping, folding and then rolled into a dough ball again. Then, rolled again and roasted or shallow fried. This unique rolling process forms many layers, and once the paratha is cooked the layers become more visible and they can be separated easily. This unusual rolling procedure makes a paratha which is quite crispy from outside and soft from inside. Delicious! There are different techniques of creating layers for this paratha. There may be many techniques, but for your ease, I have decided to share the three main techniques which I prefer to use. You can use any of the above rolling techniques which I have shown in the video at the end of this post. TMy mom always made the lachha paratha with whole-wheat flour. That’s the way she knew. Or I should say, that’s the way we have been eating it all our lives. 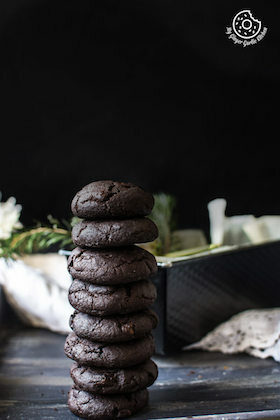 She tried different techniques for creating layers, but never changed the flour — it was kind of an untold norm in my family. In north India, parathas are staple food and people don’t care much about the varieties when it comes to the plain parathas. We always thought that lachha paratha is a North Indian dish which is made only with whole-wheat flour. But then one time in 90’s, when my family traveled to Southern India for the very first time, we found out something interesting. It was a long trip and we were away from home for so many days, so we were desperately craving to have some North Indian food there. Being a North Indian, we were so glad to know that there were nice North Indian restaurants in South India too, obviously because of so many North-Indian tourists. We chose the one suggested by our hotel manager. He called it the best North Indian restaurant in town. Alright, so we went there and ordered some lachha parathas for dinner. The parathas looked nice but slightly different in texture and color than what we’re having back home. Despite this difference, they were so delicious — perfectly nice and crisp. And after that trip, my Mom also started making laccha paratha using all purpose flour. So today I am sharing this simple and easy North Indian laccha paratha which my Mom used to make. Hope every one of you will love it, as much as we do. What do we call paratha in English? A paratha is a literal translation of flatbread in the Hindi Language. The word Paratha is made with two words — parat and atta. This precisely means layers of the cooked dough. Which flour is used for paratha? A traditional paratha is made using chakki atta (whole wheat flour), or maida (all-purpose flour). 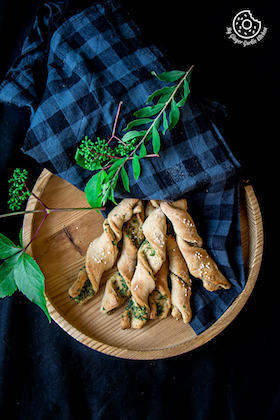 However, you can also use multi-flour or any other flatbread making flour of your choice. You can also use a combination of soy flour, ragi flour and chickpea flour (besan) or any other gluten-free flour for making gluten-free paratha. Warqi paratha exactly means layered paratha. Warq is used for layers here. Laccha partha and warqi paratha are prepared similarly. What’s the difference between paratha and chapati? Chapati and paratha both are flatbreads. Chapati is rolled into a circle and rolled only one time. However, paratha is mostly a layered flatbread, that’s why it is rolled out and folded over multiple times so that a paratha gets perfect layers. Chapati is always plain, but parathas can be stuffed. Chapati is always rolled out into circles but parathas can be rolled into circles, triangles, and even square shapes. Paratha is always roasted with some oil, ghee, or butter. Chapati is first puffed up on the pan or on the direct fire. And then brushed with ghee. What’s the difference between laccha paratha and warqi paratha? 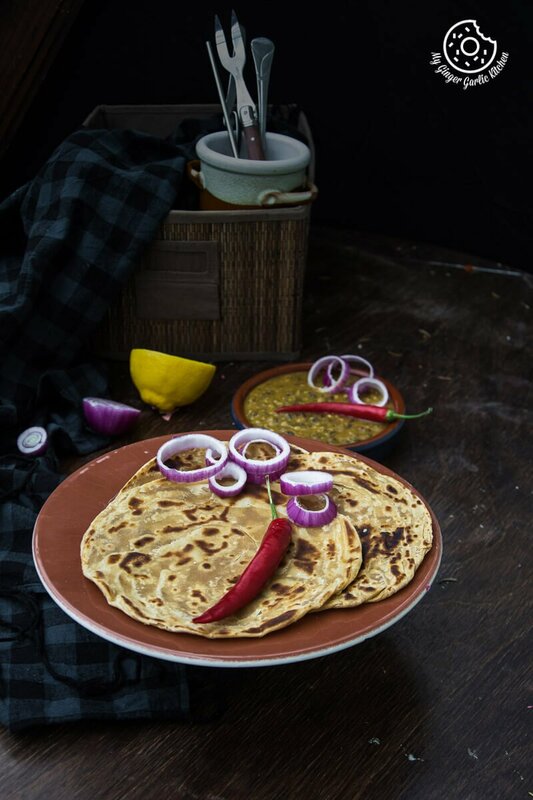 Laccha paratha is traditionally made from chakki atta (whole wheat atta). Warqi paratha, on the other hand, is normally prepared from maida (all-purpose flour). Laccha paratha is always savory, but some warqi paratha could be savory and sweet. Some warqi paratha recipes contain sugar and saffron aka Kesar. Rolling/folding and roasting techniques are similar in both the parathas. Yes, and no. If you use ghee for making dough and roasting paratha then paratha is not vegan. However, if you use vegetable oil for making dough and roasting parathas, then they can be made into the vegan. 1. Combine the whole wheat flour, baking soda, ghee, salt, and sugar in a bowl. Mix it well. 2. Add lukewarm water and knead into a soft dough. (You can also use warm milk or a mix of milk and water). 3. Cover the dough and let it rest for around 30 mins. 4. Divide the dough into 8 equal portions. And shape them into balls. 1. Take one dough ball and dip it into flour. 2. Roll into a thin circle. 3. 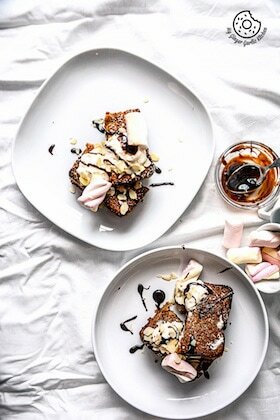 Brush with ghee and sprinkle with some dry flour. 4. Make a cut from the center. 5. Now fold it completely along the radius. 6. Open the petals and press to make a roll again as shown in the video. 7. Now dip it into dry flour roll into a thin circle again. 8. Place the rolled circle on a hot pan and cook from both sides. 9. Heat a pan on medium heat. Roast the parathas from both sides on medium heat. 10. Brush both the sides with some ghee/oil roast and roast until golden brown on both sides. 11. 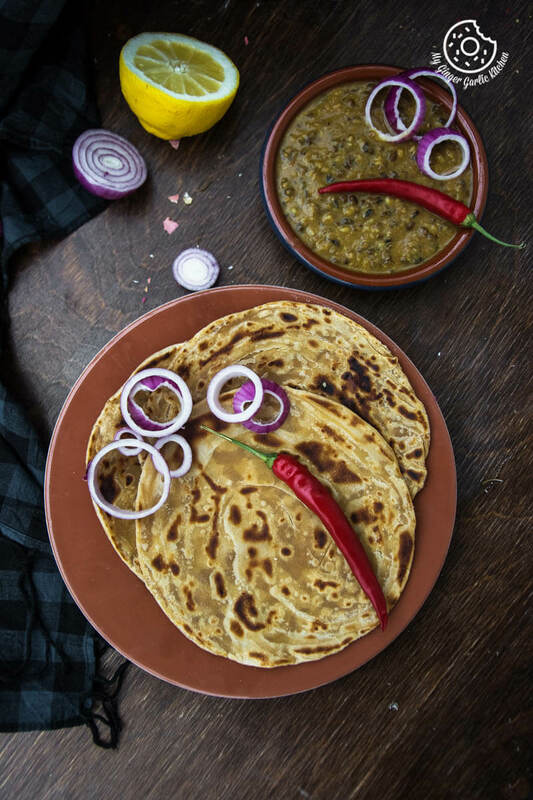 Serve parathas hot with any dal or curry. 2. Roll into a thin oval-shaped disc. 4. Now, cut the rolled disc into thin strips using a knife or a pizza cutter. 5. Take all strips together and fold it into a thin log. 6. Brush with some more ghee and sprinkle with some more dry flour. 7. Roll it over again from one end to the other end to form a spiral as shown in the video. 8. Now dip it into dry flour roll into a thin circle again. 4. Pleat the circle from the edge to edge as shown in the video. 5. Brush with some more ghee and sprinkle with some more dry flour. 6. Coil the pleated log into a spiral ball and secure the end by sticking it at the bottom. Press well. 7. Dip it into dry flour and roll into a thin circle again. 8. Heat a pan on medium heat. 9. Roast the parathas from both sides on medium heat.